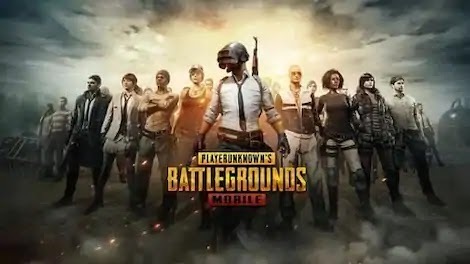 PUBG Mobile has been frequently pushing newer and better updates of late. The latest update brings with it several new weapons, ability to spectate any game, and the highly anticipated Darkest Night mode. This new Zombie mode launches in the coming week and makes the gameplay a little tougher but definitely more interesting. Here's all you need to know about PUBG Mobile Darkest Night. The beta version was already making waves but now PUBG has announced a stable release which has fans excited. Notably, it brings with it a lot of changes including new modes, enhancements, and weapons. There is a companion system that lets players have a companion/pet that mostly hovers around, hidden from opponents. Playing with these companions earns XP that can unlock pet emotes. Zombies will arrive in waves and be able to climb walls and roofs and even jump. The new mode also introduces Zombie dogs. This resembles the Left for Dead style time-attack survival mode. PUBG Mobile is all set to increase its firepower with the advent of an RPG-7 weapon (rocket launcher) which will spawn with six rockets, iron sights. There's also an explosive crossbow which explodes on impact and can blow up Zombies as well as vehicles. Also, new Liquid Nitrogen grenades can freeze Zombies and slow their movement. The flamethrower is more powerful now as well. Crosshair color options have been increased. Players can now choose from up to nine colors and even customize the red dot, holographic sight, 2x and 3x scope crosshairs. A new male voice has been added to Quick Chat and a voice wheel is there as well. The update also adds a spectate mode where players can spectate their friends' games without playing.